This character was born from the Sewer Maintenance pic i did; i liked him so much i decided to name him and make him one of my characters. 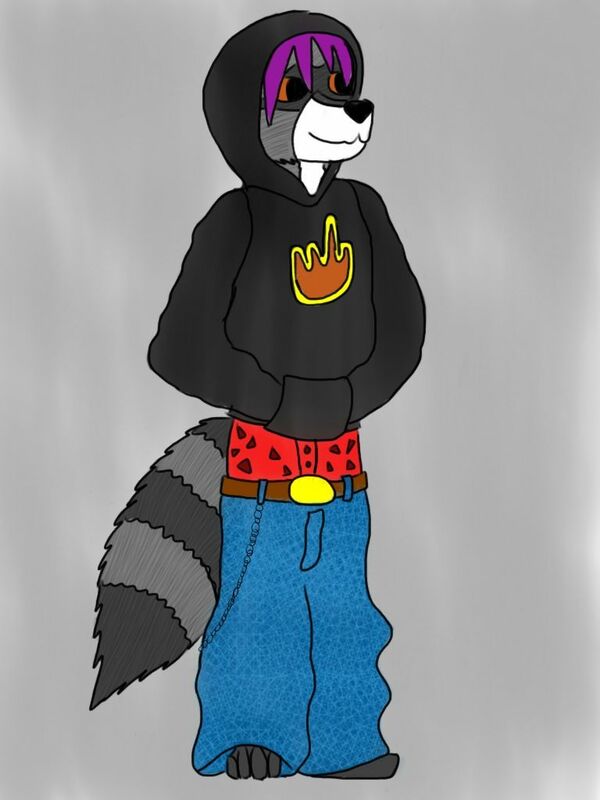 So here we have the purple haired raccoon Kodi, dressed in his casual every day clothes as opposed to his stinky work clothes. As you may have guessed from his debut appearance his job is sewer maintenance; a job which frequently sees him being eaten by various creatures that inhabit the cities sewer network; but nevertheless he's a huge lover of all things foul and disgusting and frequently loves to dirty himself with whatever disgusting substances he can find so to him this is his dream job. (more bio coming soon when i can think of some XD).